Want to Ace the IELTS with 8+ Band! Free Entry!!! 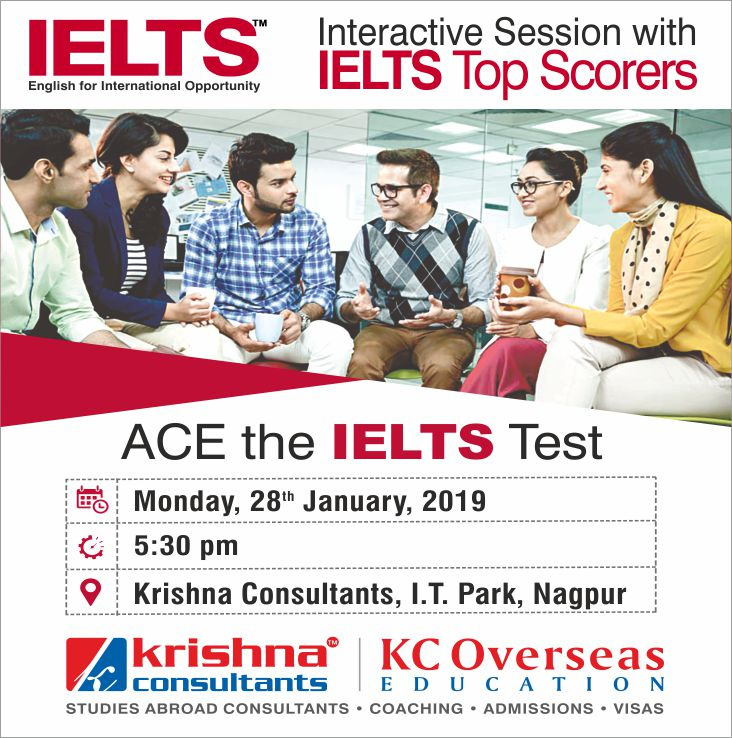 We have organized an Interactive session with our TOP #SCORERS so that you may benefit from their Insights and learn how they earned the perfect IELTS score. Venue: Krishna Consultants, Plot No. 10/2, IT Park, Nagpur.